I finally had a chance to read Kurt Vonnegut’s classic book, Slaughter-House Five, based upon his experiences in World War II as a POW who survived the firebombing of Dresden in 1945. I grew up on war stories featuring air raids by the German Luftwaffe as well as the Allied combined bombing offensive of World War II. Favorite paperbacks that I read include Cajus Bekker’s The Luftwaffe War Diaries, Adolf Galland’s The First and the Last, and Big Week by Bill Yenne (about the week in February 1944 when the Allies turned the tide of the air campaign against the Luftwaffe in the skies over Germany). All of these books had one thing in common: they were written from the perspective of the air crews, not from the perspective of those on the receiving end of bombs and bullets and fire. As such, they read like adventure stories, at least to my excitable teenage mind. Kurt Vonnegut gave us a different perspective in Slaughter-House Five: at the ground level, during and after the firestorm that destroyed Dresden in February 1945, one year after the Allies had allegedly turned the tide and “won” the air battle during Big Week. The moon scape that Vonnegut encountered after leaving his shelter was evidence of the perfect firestorm the Allies had created in their bombing raids over Dresden, which combined area bombing at night by Britain’s Royal Air Force (using a mix of high explosive and incendiary bombs) with daylight “precision” bombing by U.S. bomber forces. American planes, full of holes and wounded men and corpses took off backwards from an airfield in England. Over France, a few German fighter planes flew at them backwards, sucked bullets and shell fragments from some of the planes and crewmen. They did the same for wrecked American bombers on the ground, and those planes flew backwards to join the formation. There you have it: the best air raid ever, brought to you via the imagination of a great writer who survived one of the worst air raids ever. I’m not sure Vonnegut’s words would have resonated with my teenage mind, caught as it was in dramatic and deadly duels in the skies over Europe. As Vonnegut knew, there’s an endless supply of dumb teenagers fantasizing about war. So it goes. Kurt Vonnegut is good but there are other small stories that also tell very personal and devastating experiences of war. Fred Arnold, a twenty year old Jewish boy from Chicago volunteered for the Army Air Corps pilot training immediately after Pearl Harbor. Within a year he found himself in North Africa in a squadron of P-38 fighters running daily missions over Sicily. Out of his training group of sixteen only two were alive after that first year. Several died in training and several in accidents. I only found out recently that during the war there were almost as many deaths in accidents as in combat in the air corps. I did not know that when I stepped in the bombers I flew in. Fred’s story, which he recounts in his book “Doorknob 52,” is fascinating in that he found more harassment for being Jewish from a member of his own squadron than he did when shot down over Sicily by a German fighter pilot. Another very personal story is told in a documentary by PBS called Berga, A Soldiers Story*. This one involves a personal friend of mine, also Jewish, who at the age of 18 was captured at Malmedy during the Battle of The Bulge. Like Vonnegut who was captured in that battle but because Mike was a Jew, in contravention to the Geneva Conventions, he was sent to a concentration camp, Berga where the POWS died at ten times the rate of non Jewish POW’s. My friend Mike, escaped after being tortured by the Gestapo and made his way to the American lines moving across northwest Germany. War is not a civilized activity. It is dehumanizing for both those who suffer it in the front lines and the civilian population back home who are fed the government propaganda that sustains war. 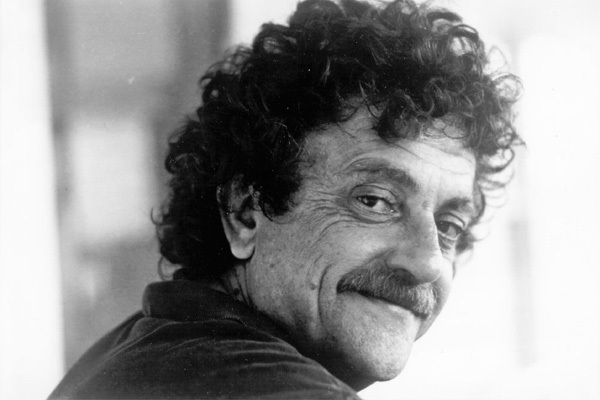 Vonnegut went on to devote much of his life to helping Americans see this. My friends Mike and Fred just tried to lead constructive lives in spite of their horrendous experiences of war. * The documentary, Berga, may still be available for purchase from the PBS library. Sometimes life imitates art as well as the other way around. That recollection usually triggers another memory of overhearing a couple of Air Force officers at the USO in Saigon sitting around discussing which of them would make the weekly jewel-smuggling run to Bankok, Thailand. That recollection, in turn, typically triggers another memory about hitching a ride on an Air Force cargo plane in Vietnam during which flight … But I think I’ll save that little tale (and a few others) for a later discussion. This one has to do with the literary imagination and not just the simply and awfully true.